Hell Fest DVD and Blu-ray release date was set for January 8, 2019 and available on Digital HD from Amazon Video and iTunes on December 21, 2018. 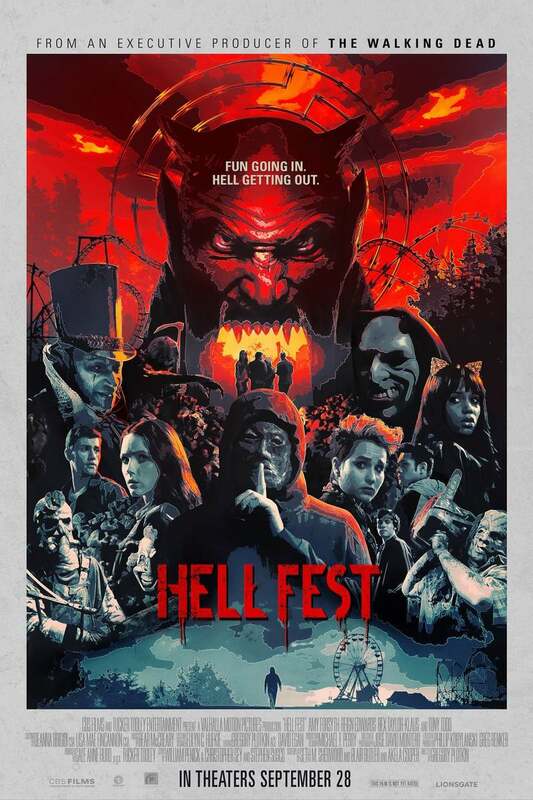 A traveling horror theme park called Hell Fest features a plethora of rides, mazes, and other spooky attractions offered up to those that enjoy a good fright. Unfortunately, this Halloween, there is a very real threat at Hell Fest, a masked serial killer known as The Other. On Halloween night, Natalie and her friends go to Hell Fest for an evening of spooks, but as The Other picks them off one by one--they will be lucky this Halloween if they are able to get out of this carnival of horrors with their lives.